Suddenly I have lots of friends. My email inbox dithers between being merely “out of control” and “completely out of control”. What a marvelous reason to celebrate and open the champagne! Downton Abbey was such a lovely series: it charmed millions of people worldwide and we are lucky to have been part of the journey. It has made Highclere Castle an exceedingly well known home for which we are incredibly grateful and I think the Castle plays its starring role beautifully – even if I am slightly biased. Thus we can all now wonder and imagine what will happen. I suspect Lady Mary will simply become ever more beautiful but will Lady Edith, now happily married, pop back to see the family? Lord Grantham already lost his money in Series 4 but it might be fun if his American relatives were to appear. We have had a few fictional deaths and I imagine the film may make us all distraught at some point. I cry in most films – even Cinderella. The sixth series of Downton left us in the 1920’s. This was the time in which, in real life, the 6th Earl and Countess, Catherine and Porchey, lived at Highclere. They held the most glamorous parties with guests from the world of film and theatre, as well as the Royal family, enjoying a never ending array of racing and shooting. Researching my book “Catherine” about the 6th countess, I found it a fascinating time in British politics where the rise of the Labour party knocked against the hard edged glamour of Evelyn Waugh’s world of decadent aristocrats. In fact, Evelyn Waugh married, in turn, two nieces of the 5th Earl of Carnarvon and I have to admit that “Brideshead Revisited” is one of my favourite books. Revisiting my memories of previous storylines as I cross back and forth over the Estate, I wonder if any of the cottages will be needed again. Many of them have even more roses around them and look rather scrumptious at present. Downton used a number of fields, follies and tracks over the years but of course none of the farm scenes were shot here. We have sheep and arable with not a pig in sight although that wasn’t always the case. Historically, both the 4th Earl and his mother won prizes for their pigs. Indeed, that is all about to change again as Simon the farm Manager and I are just about to buy some Lop Eared pigs. So now Lady Mary can film any such scenes here at Highclere without going off site! The National Long White Lop Eared Pig (a very catchy name) is a traditional British pig but it is on the endangered list and recognised as a rare breed. There is an area behind the old walled garden which would be perfect and it just needs fencing. They will have fun clearing it up and I have already planned to name one “Babe”, from the film of the same name. Possible pig scenes notwithstanding, the film will be an adventure with long hours, a few dramas, masses of people everywhere , too many articulated lorries, a great crew and much laughter. There will be an exciting period of editing and marketing during which I can give some thought as to where Highclere should go from here in terms of its long term heritage. Both the great tower and the Medieval Barn need extensive restoration. One option I have been mulling over is the possibility of creating a “Friends of Highclere Castle” club. I can share advance tickets and rare archives, hold a special drinks parties. It’s a thought. Sometimes I find the task of stewardship so daunting but then I remember Arnold Bennett’s comment (a contemporary of the “Downton era”) that “It is easier to go down a hill rather than up, but the view is from the top”. My heart is palpitating with excitement. I have just heard the news on twitter and you are reporting it so it is official!!! A movie-of Downton Abbey it is too good to be true!!! I’m sure you can get in the movie-perhaps a glamorous auntie- or cousin as Lord and Lady Grantham’s brothers and sisters have already been introduced!! I think stardom may yet be at hand for you!!! I am dreaming of plot twists and scenarios but no one could concoct plots like Julian Fellowes and I can’t wait to see what is brought to screen. Greetings to all at Highclere-or should I say DOWNTON!!! Oh my! How very exciting! When will the film be completed and how many we view it?? I would love to become a Friend of Highclere! This is such wonderful news and makes for great excitement at our house! Much more exciting currently is the visit we have at Highclere in a couple of weeks with Viking!! Very excited to visit your beautiful amazing home. And to think our favorite Downton friends will be there with you shortly. So happy! The world needs happy news. Today, one year ago, my Sister Margaret and I visited Highclere Castle. I gave her the trip to celebrate her 80th Birthday. We toured your lovely home and had lunch under the trees. My biggest thrill was walking down the staircase where Mary walked in her wedding gown and Edith threw her veil. I relive my visit through my photos and your blog. Thank you so much for sharing your wonderful home with us. My First but not my Last Visit . Today Sunday Much Needed Rain ! I’m so glad you enjoyed your visit. The rain was very welcome and luckily the parched ground soaked it all up. Am so thrilled that you are considering a Friends of Highclere Castle! This is wonderful news!!! Am excited about the movie! I hope that it will be the first of many! It will be so great to be back at Downton Abbey. Next year I hope to visit your beautiful Highclere castle in Summer. I’m very happy and excited about this news. I’m. Hoping for more witty exchanges between The Dowager Countess and Cousin Isabel. Maybe there could be cameo roles for you and the Earl? I will have to get my Downton dvds out. I thrilled and beyond excited at this news!! Hope you have a cameo in the film! A fashionable and glamourous cousin at a party, perhaps? Julian Fellows will do a superb job with this project. And if you start a “Friends of Downton” club, count me in! Thank you so much. I do want to start a Friends of Highclere. JUST heard the news! I can imagine it probably feels a little overwhelming for you right now, but I for one am so grateful that you and George are sharing your lovely home with the world once more. Thank you, thank you, thank you. My Mother and I both absolutely adored Downton Abbey, and we discovered the show in the States during the first season…before most Americans realized how special it was! We debriefed every episode over texting on Sunday nights. Sadly, she passed away very unexpectedly in the summer of 2016, and if she were still here, I know we would be sharing quite a few enthusiastic messages right now. Downton will always remind me of her, and I’ve got such bittersweet excitement for this next chapter! I live under a rock and hadn’t heard about the movie. I’m glad to find out here and looking forward to seeing it so much! Wishing you and those connected a smooth road and success in the making of it! Thank you for sharing this exciting news with us! I’d heard there was going to be a movie and I look forward to seeing it. Downton was one of my favorite television series of all time, with the stellar cast (I adore Dame Maggie Smith) and gorgeous castle and grounds. I so enjoy your blog. Wonderful news! We’ll look forward to hearing more about the new Downton Film. I am so glad! I have missed Downton Abbey! 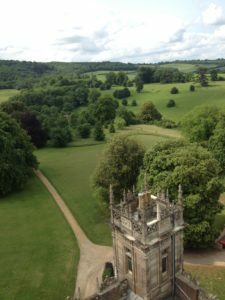 I have loved learning about the history of Highclere Castle, and reading your posts! One day I hope to visit, but it is a little hard being from Lubbock, Texas. Looking forward to this upcoming movie! All the best from Texas. I had almost given up hope that a Downton Abbey film would ever make it to the big screen. I am delighted and wait with great excitement for the release. Of course, I can’t wait to see all my favorite characters again, but I am thrilled at the thought of Highclere getting a chance to shine once more as the centerpiece of the drama. Great news. It would also be fantastic to be a member, if formed, of a “Friends of Highclere Castle” as we are for two cathedrals. It is super and regular updates brilliant. Can’t wait!! My husband and I discovered Downton during the 3rd season and borrowed the first two season DVD’s and “power watched” for a couple of days. That was the beginning of our love affair with the series and Highclair Castle. Thank you for sharing this exciting news. We will join the line that forms when the movie hits the big screen. We hope to see the real thing someday, it is certainly on our bucket list! We’d love you to come. My husband and I are watching Downton Abbey again for probably the sixth time!! I just can’t get enough of it like I’m so unbelievably happy that there will be a movie!! I’ve visited your castle in May and it was the highlight of my European vacation. Next time I’m in Europe I will certainly come visit again and look forward to friends of high clear club please count me in! Fantastic news and congratulations to all! When does principal photography commence? Thank you. Filming starts here at Highclere in the Autumn. Oh, my goodness!! Great news!! I can just feel your excitement. I’m just catching up with this? When does filming begin? Any projected release date yet? We shall be watching for all the updates. Coincidentally, we have been re-watching all of our DVD’s this summer!! We have the entire set, and it is just as riveting and enjoyable as ever! We cry and cheer in all the right places!! So excited about this!! Thank you for telling us!! Best success to all of you!! Thank you. We are very much looking forward to this new chapter. Filming starts here at Highclere in September. Thanks you. We are excited. Filming starts here at Highclere in September. WE CAN’T WAIT!!! WE CAN’T WAIT!!! WE CAN’T WAIT!!! My husband was never a British drama watcher, but Downton Abbey drew him in like it did everyone else. He just couldn’t help but sit down and watch with me. Now I’ve got him watching all sorts of British shows, including “The Great British Baking Show.” Normally I’d never get him to the movies to watch a period drama, but I’m sure he won’t let me just go see this one with my sister. Thank you for sharing your home (and your animals) with the world. I did not know of the good news until I saw your blog post this morning. It is wonderful news, which has been in short supply in the U.S. since November 8, 2016. Speaking of the election results of that date, I am sorry for the way that he is acting while a guest in your country. May all the forthcoming decisions bring joy to you, your family and everyone there. What wonderful news, our favorite house in the country will be back on the big screen. 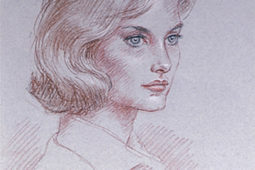 I think of Highclere as an actress playing her scenes to perfection, never forgetting a line or missing her mark. Please count me in as future member of “Friends of Highclere Castle” I think it’s a great idea with endless possibilities. They are lucky to have someone like yourself who works so tirelessly for her history, past, present and future. Thank you. I will keep you updated. I am so very excited for all of you moving forward! Absolutely count me in for the “Friends of Highclere” as well, if you create it! You again are my and my girl’s hero for all the work you do as a fine steward. Thanks you. I have a wonderful team of people who help me. How exciting! Wishing you many smooth roads on this fabulous journey! And YES to Friends of Highclere. I am beyond excited to receive this news! I am a huge fan of the series and we made a trip from the US in 2015 to visit your beautiful home and had the opportunity to meet you in person. I am happy for you and for us fans. Best wishes and look forward to all your blogs. The best news I’ve had this year !!! Wait until I tell all my friends. We’ve already been to both of the Downton days and now we’ll be able to relive it all over again. Thank you for spreading the news. You’re welcome. It is very exciting. I now feel relieved that you have confirmed the “Downton Abbey” film! I hadn’t let myself believe it until I heard it from you! Very best wishes for an easy transition throughout filming for you and George and all the crew! Thank you. The days will be long but they will be filled with laughter. How exciting!!! I will wait in eager anticipation for the debut of this film. The Downtown Abbey Series is so well done and I am sure the movie will be just as good. Thank you for sharing your castle with us once again, I can not imagine Downton Abbey taking place anywhere else. It will be great to be back at Downton Abbey. I have binge watched the series on Prime Video. I also have found your books on Lady Almina and Lady Katherine on Kindle as well as on Audible. I have listened to both of them. I have also watched the Secrets of Highclere. Very informative. I have also got your book At Home at Highclere. Thank you so much for sharing. God bless. I hope one day to visit your beautiful home, go to tea there and have a glass (or two) of champagne there. I hope that you and the Earl have a cameo in the new film. I know it will be just as good as the series. To say I’m excited would be an understatement. If I could jump up and down I would! I first saw the news on Instagram and then on Facebook. This upcoming movie will either settle our excited nerves or make us crave more. I’m voting for more. I would be more than happy to help brainstorm a North American Friends of Highclere Castle. Even if it’s just an email list to start, I suspect you’d find lots of interest in the States and Canada. Happy to get in touch more formally if it would be helpful. Thank you for such EXCITING NEWS! I just opened you update over breakfast & you made my day!!! Although I am on the beach in San Diego & the rest of my Downton Dinner Club friends are enjoying their summer travels from Switzerland to Africa – I will share your latest blog immediately! Speaking of Waugh & “Brideshead” maybe there is an idea for another novel – such a fascinating family tree of “six degrees of separation “? We saw Maggie Smith in the audience two evenings ago at centre court during “Nadel & DelProto’s “ riveting match at Wimbledon- I think it was a sign…. She looked wonderful- I don’t think the world has ever seen such tennis! Cheers to DOWNTON & HIGHCLERE!!!! It is not only the Downton Abbey series that has made Highclere Castle so special to us but you, the true Lady of the Castle. You are so warm and gracious and we truly love you here in America. Thank you for keeping us up to date on all the exciting things happening at Highclere aka Downton. Waiting to see those Lop Eared piggies. I always impulsively click open when I see a lady “C” email. But I’m quite slow on interpreting the subject. Not until I’d read through some of the readers messages did I grasp there is going to be “DA” movie ! ! Oh for a good dose of nostalgia. I watch my DVDs night-and-day. My heart is pumping faster than usual. I have so much to keep my thinking busy as I clean house today. Best of good luck and fortune. Congratulations to Highclere for what undoubtedly will be the starring role (amongst a plethora of fine acting talent) in the upcoming movie of “Downton Abbey”. Maybe Highclere will get its own footpath “star” in Hollywood? The international success of the TV series and the universal affection with which Highclere is held, make that prospect a reality more than mere folly on my part. However, as with many things, the real stars remain unassuming and behind the scenes. To my way of thinking the “real stars” of Highclere’s/Downton’s success are you and your husband. Your stewardship of this beloved home, castle and estate is a monumental task and for that I wholeheartedly congratulate your husband and you. Best wishes and every success for both of you, your family, and all involved with Highclere and ‘Downton’. PS I would definitely support your establishment of a “Friend’s of Highclere” club/society. There is, after all, a point at which even the most acerbic tongue begins to falter……. Such exciting news… and I’m happy to hear that the proceeds from the filming will give you the opportunity to address more of the restoration and maintenance for some of the bigger projects on the books. 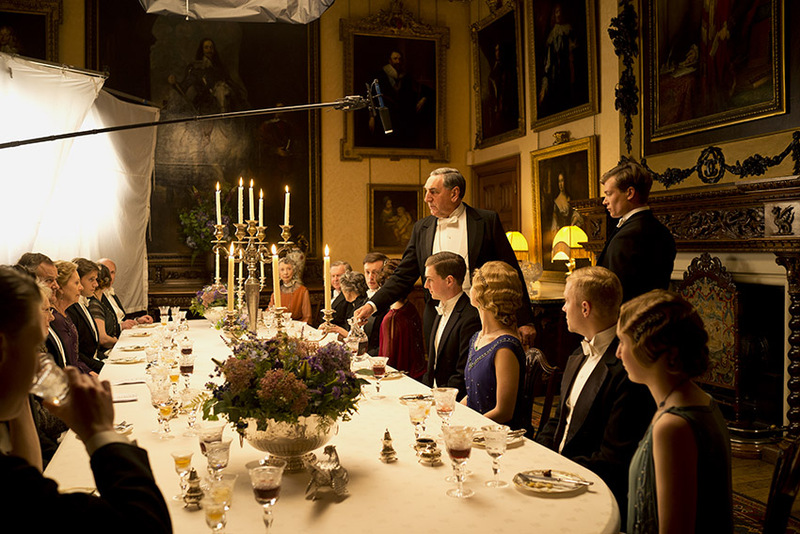 It will be so fun to see everyone from Downton again on screen! Like many others, I’d be eager to be a ‘Friend of Highclere’ if you decide to pursue that option. Happy news is such a great way to end the week. Thanks for a bright spot to my day with your post. And I’ll join some others in apologizing for this past weeks’ terrible shenanigans by the POTUS. I have been mortified for the past 18 months and I’m sure my embarrassment will continue for at least that much longer. Wonderful news! I like the ‘Friends’ idea too! I don’t know what I am more excited for, the return of the movie or the fact we will see more of Highclere! I wholeheartedly agree with Terri’s comment above – you and the Earl definitely need to do a cameo! I have been following your blog with great interest, Highclere has so much history and it is so important to preserve history for future generations. Visiting Highclere is on my “list of things to do” and I hope to visit next year. Congratulations and look forward to seeing you and the Earl on the big screen! We’d love to see you here. 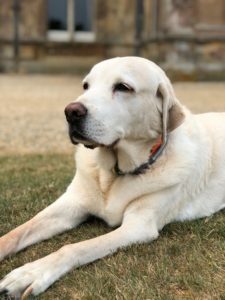 What is the name of your labrador pictured in the blog? Beautiful, and as I see, having the longer legs of the English labrador. American labrador, I think, has a stouter trunk, and shorter legs, English more slender trunk and longer legs? She is called Bella and is Alfie and Scoobie’s mother. Fantastic news! Huge congratulations to you and everyone who worked to make this happen! We’re so happy to hear about the movie as we had not given up the possibility. Do you know if all the major players will return? I’m so glad that you will be able to do more restoration on the oldest buildings on the property. For some reason I’ve become enamored with the Medieval Barn and follow any mention you make of it so I’m happy it is included in your list of possible repairs. Count me in on your “Friends of Highclere Castle” – good idea! Hello from Washington, DC. I’ve just heard the wonderful news that the Crawley family is coming back to Highclere, such excellent news! I am an avid fan of Downton Abbey and now a loyal follower of Highclere Castle. …I always enjoy reading your blog. Thank you for sharing. I am more than thrilled to hear this news as there have been many rumors about a movie possibility but this puts those to rest. No matter what the story line ( pigs or no pigs) it will be delightful and a treat to watch. I do agree that you should have a part in this movie and you would be perfect for any part. Count me in for the friends of Highclere. Would love to know more. Fantastic news! Downton Abbey is timeless and incomparable. Your beautiful home forms the perfect backdrop for this series and it has captured the hearts of the whole world. I pray that the series will be restarted and that would be heavenly! Thank you for the updates, it is indeed very gracious and thoughtful of you. Count me in when you start your club. This is a marvelous news! I love the Downton stories and on your blog, you represent the connection with the real life at your chateau and the historical way of life of our ancestors, it is so important to understand the past for living a better future. I will be watching this new film and for sure, count me in on your “Friends of Highclere Castle” ! Have a great summer time! Thank you. I hope you enjoy a relaxing summer too. 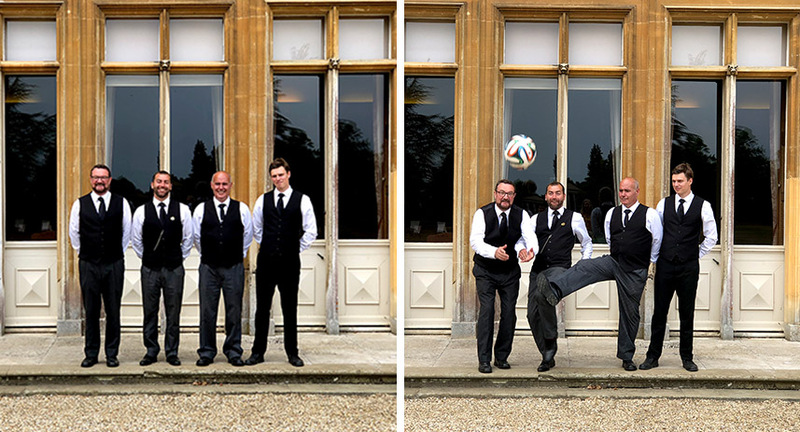 We’d love to welcome you here at Highclere. Hallelujah!!! You have made me a very happy person today! I had heard rumors about a movie, but today you made my world a happier place with the confirmation of the movie. Like the above Gentleman, David, I watch Downton perpetually. When the last episode of season six is over, I start over with season one episode one! I just love it. I have been doing research into my ancestry and have found an amazing array of British Lords, Ladies, Judges, etc. in my family tree. Maybe that is why I feel so connected to Downton Abbey. My 11x Great Grandfather is entombed at St Michael and All Angels Church in Penkridge, UK. There are about four generations of my family in that Church. We visited it last year the day after we visited Highclere. Amazing! We are counting the days until Heroes At Highclere. I am so excited!!!!!! God Bless you all. What a lovely group of people you have there. Some of the kindest, most polite people we encountered on the entire trip last year were at Highclere Castle. I always believe that when people at ‘work’ are kind and friendly, it is a reflection of the employers being kind and caring employers. My hat is off to you and Lord Carnarvon. Your staff must care about you both very deeply. Thank you again for the good news! Beyond excited just about sums up my feelings!! I was just researching the movie possibility yesterday!! I look forward to news of the production, and good luck to you and your team as you undertake this new endeavor. It will be the very best with you at the helm! Wow!! I’m so so excited!! I cannot tell you how much I love reading about what is happening at Highclere. And I’m absolutely thrilled that Downton is making the movie! I am a history major so I especially love the facts you give us about the real life people at Highclere. I hope to visit there someday soon! This Downton superfan is thrilled about the upcoming movie. I go to sleep to an episode of the series every night, having been through all six seasons about fifteen times now! I even taught a university lifelong learning course last summer on post-Edwardian England called “The Life and Times of Downton Abbey.” And in September, I will be fulfilling a bucket list wish to visit Highclere on the post-Viking cruise excursion to Oxford. Can’t wait! Thanks for this blog. I love following it. We look forward to welcoming you to Highclere. This is VERY exciting! Thank you for this!! Cause for many, many celebrations!! I shall do so immediately!!! Long Live Downton Abbey, Highclere and all included!!! The best Friday the 13th news I’ve ever had!!! I am over the moon with excitement!!! One day I hope to be able to sit on Mary and Matthew’s bench under the great tree, take a stroll out to the folly, and hear the gravel of the drive crunch under my feet. Until then I shall have to content myself with repeatedly re-watching my DVDs whilst awaiting the movie. I know it may be a mixed blessing to have them all there, but please know that we fans very much appreciate your willingness to share your home for our entertainment. Thank you. This is a very exciting time! With the Heroes at Highclere event coming soon and now the filming of the Downton Abbey movie, you are one busy “Lady”! Downton introduced me to Highclere but the lovely people I have met during my visits over the last few years have found a very special place in my heart. You and Lord Carnarvon have created a lovely home and are very gracious to open your doors to so many. The idea of a Friends of Highclere Castle club is brilliant! My husband Paul and I would join on the spot! I do hope this summer continues to bring new and exciting adventures for all of you! Until we see each other again, Cheers! Oh my goodness, I jumped up and called out to my husband telling him the news on your blog this morning!!! 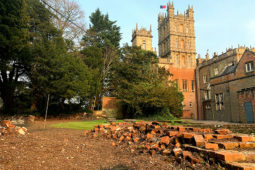 We were thrilled to hear of the upcoming movie to be made to continue the story of our beloved Downton characters there on site at your beautiful home at Highclere again !!! When the series ended there were so many possibilities for future story lines !!! Downton Abbey is still available on demand here in the U.S. through the Amazon app so we can “visit” our Downton family whenever we start missing them !! We also own the entire series on DVD for whenever it is no longer available in other ways. We have two daughters that are big fans already. We plan to share it with our grandchildren when they are old enough to understand and appreciate it. Your blog is lovely and filled with such good articles on such a broad variety of topics. You have wonderful insights and an eye for beauty. Thank you for taking the time and doing the research for your articles that enrich our lives in so many ways. I look forward to reading each and every one. Thank you – we are really looking forward to the whole experience. This will be fun and exciting for everyone. The show was so well loved. Congratulations and hopefully they do shoot most of the film at your place. Now I’m really going to get pressure from my friends I’m bringing in October to England! I already told them the bad news about Highclere not being open then. If only Julian could have waited until November to announce! I am simply overjoyed with your post. The great news that in fact, yes, there will be a Downton movie brought tears to my eyes! Since Downton Abbey, the series, ended, something went out of my life. Would love to visit Highclere on a tour of England. How wonderful to know a film is going to follow, so exciting,. I am very excited about this news as I am sure you are. Thank you for the good news! Everyone is very excited here! What exciting news for Downton Abbey fans and thank you for sharing it us! I have only recently become a fan and am about halfway through Season 5 but find myself thinking about spacing out the rest of the episodes so I can enjoy the series a bit longer. It will be fun to catch up with the the Grantham clan when the movie is released! I’m also excited about your introduction to the world of heritage breed pigs! My husband and I raised Large Blacks and Gloucestershire Old Spots for several years and we loved them. They were also flop eared breeds and such nice animals. Our very first pair were 2 Large Black piglets we called Boris and Natasha. They were the sweetest animals; Boris grew to around 600 pounds yet was gentle as a pup, as was ‘Tasha. When ‘Tasha was having babies, I would go into her hut with her. It was intimidating to be in a small space with such a large animal, but she never gave me any reason to fear her. Having grown up raising modern pig breeds, I assure you, I wouldn’t have done that with any others! I know you will love seeing your pigs in their pens and think you will enjoy getting to know them. Thank you for sharing your wonderful blog! It is going to be such a fun adventure with the pigs. I am thrilled! It will be wonderful seeing them all again and watching as their lives unfold. And should you organize a club – count me in. What exciting news! I thought the film was already “in the can” but evidently I had the carriage in front of the Thoroughbred! Your “Friends of Highclere” is a wonderful idea. Visiting Highclere at Christmas 2016 was one of the highlights of my European adventure. Meeting you, Lord Carnarvon, and the wonderful staff you introduced me to made our visit all the more wonderful, as well as meeting so many other special people there that I am still in touch with today. I can’t wait to visit again, and growing up on a farm with little piglets scampering about, I can’t wait to meet your lop eared pigs, as we raised a similar breed on our farm as well. I must congratulate you and Lord Carnarvon with being such fine stewards of the Carnarvon homeplace, and pray you a renewal of strength and determination to soldier on to make it even more perfect, although I can’t see how Highclere could be a more perfect estate. To have perfectly maintained grounds and grass the colour of chartreuse on a frigid day in December after what we call a killing frost, is a feat I only wish I could accomplish! Again, Gratulerer to all at Highclere! Photograph my best side , Julian, Downton is back. Desiree. Such good news! I really look forward to a continuation of the Downton Abbey story. I own all the episodes and am going through them for the tenth time! The Friends of Highclere would be a wonderful idea. You will be amazed at how many (including me) would be interested in participating. Good luck with your future pigs! Thank you – here’s to piglets – and our friends! As a fellow Washington state girl, I agree with you, Dianne – just the very best news I’ve read in ages. 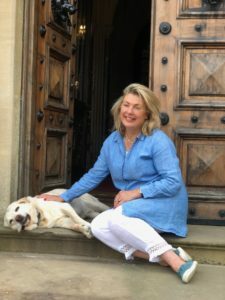 And Lady Carnarvon – I love the idea of a Friends of Highclere…and the little piglets, as well. This was the first email I opened this morning and it made my day! Well, your life is about to get a bit (more) complicated 😉 Best of luck this fall! Dancing – from foot to foot and accepting the falls! If you need any assistance, we’ll be nearby in late Sept through end of October…. When I read the title of this latest post, I looked quickly at the date on my computer to make sure it was not April 1st. Thank goodness it was not. How exciting!!! I see a “Behind the Filming of Downton, the Movie” book in your future. That would be lovely, but then again, I see a book in every project you write about on your blog. Well perhaps not a book, but definitely a dinner party project for us fans and readers? I have lots of ideas and the most charming video to share of Come and Dine for PBS! YES,YES YES.VERY GOOD. YES,YES,YES.HAPPY WEEKEND!!! I’ve visited Highclere twice. The first time was on a bus tour and the second was as an invited guest to a private showing of Highclere with a wonderful lunch and gift bag at the end of our private tour. This was last June (2017). The hospitality we were shown was second to none. I want to thank you for giving us that opportunity. As a devoted fan of Downton Abby, it was a dream come true. I am thrilled to hear of the upcoming film. I just heard the news today and reading your blog makes it absolutely official. My family and so many others I’m sure, thank you for the “use” of your beautiful home for filming. We enjoy the show so much, watching it 3-4 times a year from start to finish on DVD and now….a movie!!! Can not wait. Thank you as always for your wonderful, interesting blogs. Have a great weekend!!! “What is a week-end?”…. Violet, have to love her !! 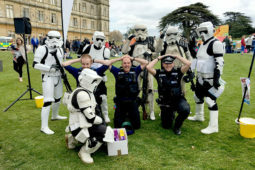 We just visited your lovely Highclere Castle on July 9th with a Viking group where we heard rumors from another guest that a Downton Abbey movie might be planned. I just finished reading “Lady Catherine and the Real Downton Abbey” which I purchased while visiting. I found your blog to tell you how much I enjoyed the book and discovered the news that the movie will be filmed in September! I am so excited that the story will continue and can’t wait to discover the new twist and turns for the family of Downton. It would be splendid if you and the Earl could appear in the movie and I hope the producers realize that your appearance would make the film even more popular! Thank you for sharing the Highclere history through your books and sharing your lovely home with the world. This is great news!! My mother and I have watched the entire series on three different occasions – thanks to the miracle of DVDs. It will be wonderful to see the characters come alive on the screen once again. Highclere is an amazing place and will endure. The Downton series is also enduring. What a wonderful pair they make! When we first walked through the entrance doors of Highclere we were both thrilled to finally be able to visit. 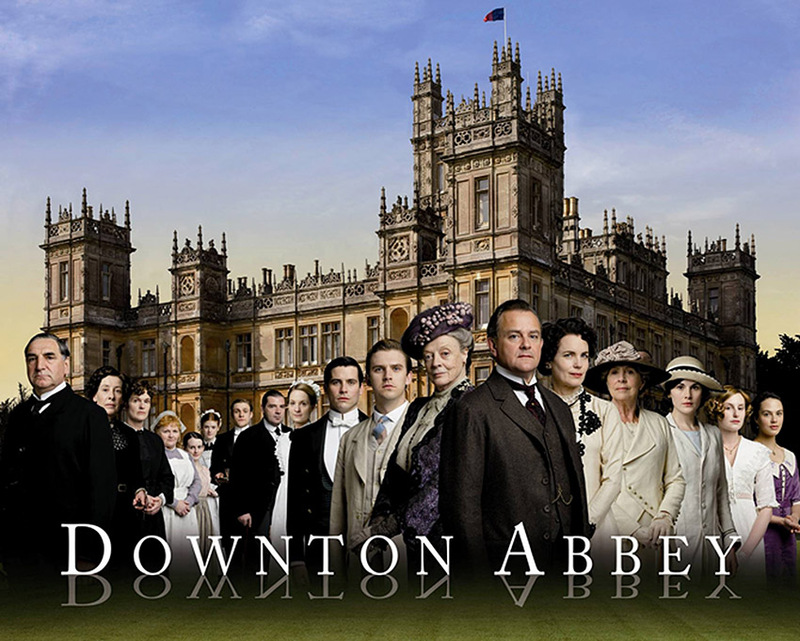 I am so excited about the new Downton Abbey movie!I can’t wait to watch it! I am so excited that I cannot contain myself. About two Christmas’s ago my husband had bought me a Downton Abbey Dvd with the first season on them. Although we do now have satellite television,during that time of when he bought me the Dvd. We didn’t have any type of cable. With that, he was forced to watch the Dvd with me and now he is hooked. I can’t wait to tell him and see the expression on his face when I tell him about the movie. I am so very excited to hear about the movie. My friend and I went to New York City just so we could see the exhibit of Downton Abby. Oh what a treat it was to be welcomed by my beloved Mr. Carson when I entered the Exhibit. I have my tea each day with my Miss Patmore Cup. We are planning a trip to England in the next year to visit some friends in Brightlingsea(near Colchester). I will certainly make it a priority to visit and perhaps We might stay at Highclere Castle. Perhaps we will get to meet you, what a present that would be. Oh this is such fantastic news. I love Downton. Thanks so much for agreeing to let us share it all again. I was so lucky to visit last August from Australia and just loved the whole place so much. Can’t wait to see the movie and place again. Love your blogs. Please keep sharing your amazing stories and your beautiful house and estate with us all. We Americans are full of excitement and anticipation for this film!!!! We are BEYOND happy to be coming back to Highclere! Have a marvelous weekend! More dog photos please I expect pig ones will follow Why not Gloucester Old Spot ? You can have no idea about how long I deliberated about which breed of pig! Thank you so much for sharing this exciting news through Viking! 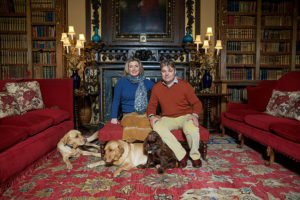 We visited Highclere Castle last year with Viking and were amazed at the beauty of your family home. Thank you so much for sharing it with others through the Downton Abbey series and opening it for tours. Descending down your beautiful staircase was the true highlight of our visit. Looking so forward to the movie. Thanks for sharing such happy news!! It wonderful to be so close to England from so far away. Some day…I will get there. And the comfort is in knowing England will be there. Oh my, Lady Carnarvon, what fabulous news! I must throw my support behind the idea of John Johnson and hope that you and the Earl would get offered cameo appearances. It would just tickle all of us fans to see you play a part in the movie. After all, this may be the last “Downton” production and seems only fitting that you and your husband should have some part in it, in more ways than just the venue. I think it’s a splendid idea and hope it comes to fruition, but I must ask, if given the opportunity, what sort of character would you and your husband like to be in the movie …. Congratulations on the exciting news! It is so wonderful to know that Downton Abbey will be bringing us new stories with wonderful lines by Julian Fellowes, wonderful costumes, and the star of the show – Highclere! As an avid reader of your blogs, I know I will have to watch the movie multiple times – first to see the movie, then to go back and pick up the clever quips that fly so fast that I may have missed the first time through, then again to see all the jewels of your wonderful home that you have shown to us through your blog. Count me in as well on your “Friends of Highclere”. I won’t be able to make a trip to see it in person, but it will feel wonderful to know that I contributed something towards maintaining and restoring such a beautiful and historic home. Thank you for all you do, Lady Carnarvon. The Earl and yourself are the perfect stewards for your magnificent jewel! Blessings to all on this exciting next step! It is exciting news about the movie. Who knows……there may be more than one! Excited to hear more details should you start a “Friends of Highclere”. I hope to get over there to visit at some point in the next couple of years. It’s on my bucket list. Oh! My! So Excited!! Fabulous news!! I have been hooked since the beginning! Cannot wait for this lovely story to continue!! I, too, dream one day I will walk the real grounds and gardens and wander your beautiful castle! Wilk be following you now closely! Very excited here in Lake City, Minnesota! Very excited here in Highclere, UK! Oh my word! Imagine my reading this when it is time in Saint Louis, Missouri to go to bed. I shan’t be able to sleep! If’ I’m able to drop off, it will be a miracle (considering this news) and with visions of sugarplums and sheep dancing in my head, and a cast of characters from Lady Grantham to the Dowager to Branson to Thomas all ambling through the great castle halls. I can hardly wait! It’s like a fairytale. And Lady Carnavon, you must think you are living a dream come true. Thank you so much for opening your home and welcoming this great cast of characters who we, in turn, have welcomed forever into their hearts. It certainly is wonderful news. of the DOWNTON ABBEY MOVIE. Congratulations! Highclere Castle, Downton Abbey and your wonderful blogs continue to cement the special relationship between England and America, when others seek to undermine it. To be a ‘Friend of Highclere’ is certainly something to aspire to, and I hope you will encourage ‘Friends of Highclere’ clubs worldwide so that here in the Abu Dhabi, we can promote and share the values, memories, fun and laughter, and perhaps some special future events? Thank-you for generously sharing Highclere’s great stories in your books and blogs. They are always a highlight! I cannot wait for the movie! Having read your books on Almina and Catherine, and noting your mention of Evelyn Waugh, I have to tell you I get a start every time I see his name. My paternal grandmother’s name was Evelyn. Grandma was French-Canadian. I did not realize Evelyn was also a man’s name. Friends of Highclere sounds wonderful. I would love to visit your castle again someday. For now, I’ll be content with the DVD’s and books while anticipating the movie. Florida is not that far! I saw the announcement yesterday and have had friends text me already to “see” what I know. They are assuming I have an “in” since I read your blog. I can only report that you had not given up any spoilers before now. But I hope you will keep us informed now that the news is out! Congratulation to all involved. I’m sure it’s like having a whole family of friends coming to visit, all at once. It’s a lot of work, but quite rewarding in the end. I’ve have both Almina and Catherine, signed copies from Highclere. And my husband also gave me your last book on Highclere entertaining. And was it ever! I loved the stories and recipes. I sure hope you form a “Friends of Highclere” club. Please count us in! I brought my family to England 2 years ago for the Queen’s birthday party and unfortunately Highclere Castle didn’t have visiting hours when we were there. I am returning in October with my daughter and parents for Princess Eugenie’s wedding (Prince Harry’s would have been too crowded) and was thrilled when I saw the opportunity to visit Highclere Castle was available during our stay. I had just booked the tickets yesterday, and then saw the announcement of the new movie being filmed. I have been on cloud 9 since I heard! Obviously I’m thrilled about the movie, but the fact that filming will be while we are there is almost more than I can handle. So happy for. Lady Carnavon, and your beautiful home. You are a great caretaker and I wish you many more years of success! I am glad the dates have worked out for you! Dear Lady Carnarvon: What wonderful news! We earnestly hope all the actors are available. We’d miss terribly any who weren’t. Wonder how long they’ll take to film it…. Friends is a great idea; count me in. Come and Dine on PBS!!!! I am thrilled. I can’t wait!!!! What a wonderful news Lady Carnarvon ! We só look forward to this and I wish you a period full of excitement ! Thank you for making this happen again ! We are just happy partners! Looking forward to the new Downtown Abbey film but even more excited about visiting Highclere Castle next summer during our Viking ocean cruise. Friends of Highclere is a lovely idea. I am so excited regarding the news about a Downton Abbey movie. Perhaps one day I can visit Highclere Castle. In June 2016 I was fortunate to experience my first trip to England. My husband and I and two of our dearest friends spent 10 days on a whirlwind tour but the real treat of our visit was a tour of Highclere! You graciously welcomed our group to your home and our guide provided a wonderful experience. Your news of the movie brings back these memories and we are beyond excited that Downtown will back! I cannot wait to see Highclere transformed to Downtown once again and this time on the big screen! Friends of Highclere is a lovely idea and this friend from the States is definitely interested. This news made my day! Periodically, my husband and I haul out a Season or two of the series and binge watch over a weekend, especially over the winter. Thank you for sharing this most excellent news! How very nice of you to share your home and your time with this blog & website. I have just found it, not long after watching the entire Downton Abbey series for the first time, finally, believe it or not. It’s quite kind of you to do this. You could find other ways to promote Highclere Castle, I’m sure, so I appreciate your doing this! your lives and the ins and outs of everyday living at Highclere!!!!! England is still on my “bucket” list!! If you create a “Friends of Highclere Castle” club, I would love to be a part of it if it is possible even though I am a French Canadian living in Montreal. I love your blog and the way that you keep alive the memory of those who lived in this wonderful castle. Thank you so much for sharing your life with us. Hamlet would also be a very good name for a pig! I had already planned a visit to Highclere on August 27th and was so thrilled to hear of the movie that shall revisit the “family” which many of us miss so very much! I have watched the entire series many times and I am currently rewatching so that my memory is fresh when I have the special opportunity to actually experience the great house and grounds! No doubt it shall be one of the most memorable days in my life! Have a great summer . And are you going on vacation? I am not really going away this summer – the charity event in September lives with me all the time…I am planning to book ahead next year! What a shame I can’t get a walk on role for it! Yes please! And thank you! Love Downton Abbey and can’t wait…..one day a real visit. Can not wait to see this wonderful tv show as a movie. This is so exciting. I will find it most amazing! I am thrilled by this news. Downton came along at a particular part of my life where I believe I needed it. I found so much so much inspiration from it in so many way. I was so hooked. I found it beautiful. Furthering the story and seeing these fantastic characters again warms the heart. I am coming to London from the Marshall Islands in January. Highclere was 1st on my list of sites I had to see. I know that there is only a slim chance of any dates being open, but I will be keeping my fingers crossed, and an eye on the website until I get there. All I need is to get a picture of myself standing in the drive with Highclere in the background. I am thinking PCoat and a smile. Anyways, there is real magic there with you. That home, and the stories behind it just amaze. Thank you, and hopefully my luck will turn and I can get that picture. Either way, thank you! Keep spreading the magic. I think we will be open for some special guided tours on January 11th if that is a help? My husband and I have visited Highclere twice, the first time was after taking a Nile Cruise with a visit to The Valley of the Kings and to see the tomb of Tutankahmun then to the Cairo museum to see The Mask and artefacts. Highclere is a wonderful place to visit and the house is so ‘bright and airy’. On our second visit we had our daughter with us who was over on a visit from Canada, unfortunately her husband and two boys couldn’t make the visit so it remains on the ‘to do’ list, she was so excited to be at Highclere and to immerse herself in Downton! The news of a Downton film has now prompted to watch the full series again. I sincerely hope to see you and your husband in the film as guests of the Crawley family! Thank you – there are some good stories here..
Last year we came to Highclere, we loved it. We are going to come again in September. We were hoping to come and see Mr. Fellows speak but it seems now we won’t have the chance. We will visit something in the coming weeks and looking forward to it. The last time we were there you were riding through the estate in your bycicle with the dogs in tow, I said good morning to you from the car. What a great place and what a lovely family you all seem to be. I am sorry you will miss Julian Fellowes but if you have other commitments I quite understand! From the first episode, Downton Abbey was a special treat. After visiting Highclere this past Tuesday, hearing you speak of your commitment to Highclere, your interest in the dogs (! ), and your continued efforts to preserve this wonderful estate, I am now loving Highclere too. Thank you for sharing your home and your stories with us – our world needs beauty and memories of good things; I am thankful for your willingness to share with the public. I do not recall viewing an “Autumn” scene in Downton Abbey. I recall scenes of fog, summer days, evenings, night times, spring days, days with a soft golden sun color, but truthfully I do not recall viewing any autumnal scene where the leaves turn color. Either way, I look forward to seeing Highclere in the “Big Screens” of Los Angeles! And perhaps one day, I will get to meet you and Highclere in person. Look forwards to your Autumn scenes..